Here we go again. Really. Really? Ugh. It’s another case of a “cheat” in the MLB. 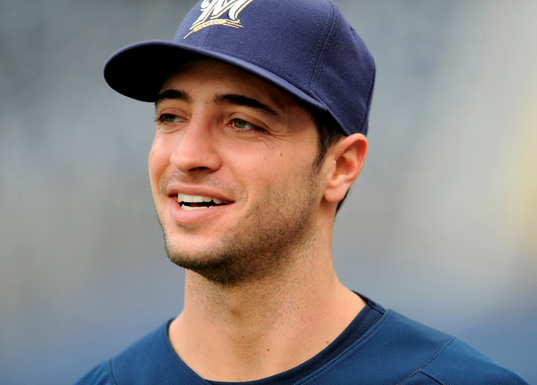 This time it’s Milwaukee Brewers’ and National League MVP, Ryan Braun. He was tested during the playoffs this year and the results came back with elevated testosterone levels…. positive for performance enhancing drugs. Yeah, we’ve heard this song and dance a few too many times already. When he is found guilty, which of course he will be, Braun faces a 50 game suspension. Yeah. Ouch. Fail. Lamar Odom Traded To Dallas Mavericks, Buh-Bye Lakers!